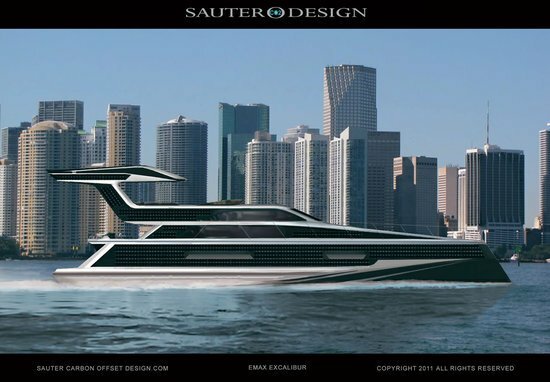 Sauter Carbon Offset Design is quite well known for all the solar powered yacht designs and their latest Net Zero 22 meter Emax Excalibur yacht, in collaboration with the Ned Ship Group is no different. 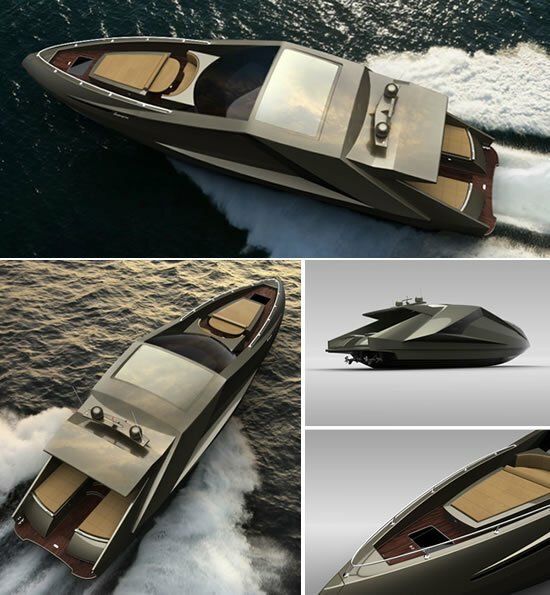 The yacht sports a “Photo Voltaic Exoskeleton that can harvest and return to the grid enough energy per year to Offset up to 3,000 nautical miles of Carbon Neutral Cruising at 18 knots”. 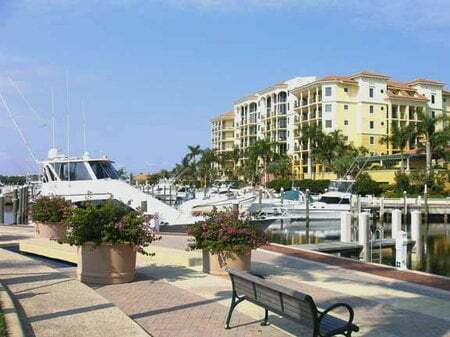 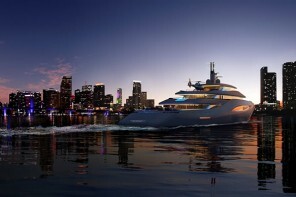 The yacht runs on “the new VW Marine 350TDI V8 and GM Allison dual mode Hybrid Transmission with Delco Remy motor/generators” that come with a 10 year warranty. 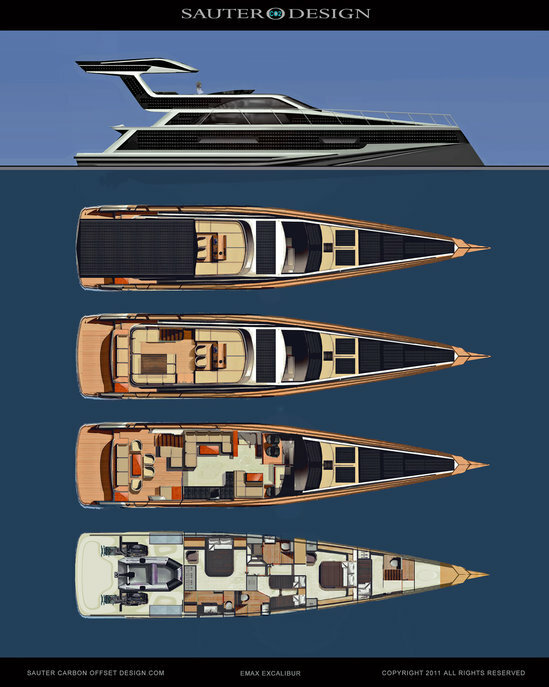 The yacht uses the OEM Green Technology to hit top speeds of 30knot and guarantees 50% reduction in GNG emissions and fuel consumption. 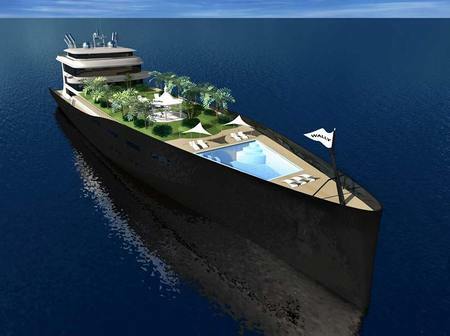 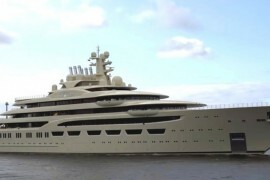 It can cruise on 22 knots with 65% lesser GNG emissions and fuel consumption. 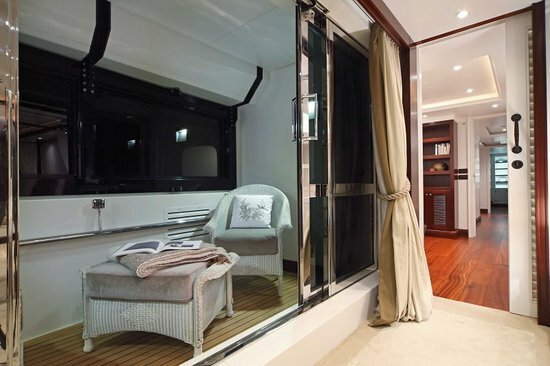 The comfortable yacht features 3 double cabins and a single one as well.